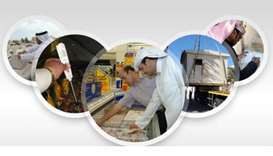 Fawzia al-Khater, assistant undersecretary for Educational Affairs at the Ministry of Education and Higher Education, has visited ScorePlus Qatar to meet the Qatar School of Science and Technology’s inaugural class. 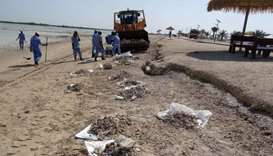 The Ministry of Municipality and Environment (MME) has conducted a comprehensive cleanup campaign at Al Thakhira beach. 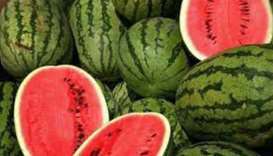 The Ministry of Economy and Commerce (MEC) carried out intensive inspections in April to monitor the compliance of shops with their obligations under the Consumer Protection Law. 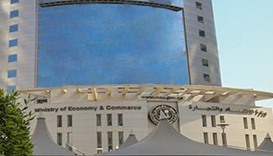 The Ministry of Economy and Commerce issued the business process report for April 2018, pointing out that 2,295 new companies have been registered. 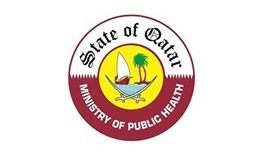 The Ministry of Public Health (MoPH) has asked private healthcare providers to reduce their service fees and charges by 10-60%, reports said on Thursday. 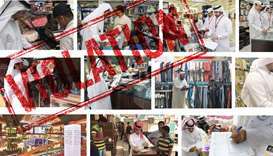 The Ministry of Economy and Commerce has registered 64 violations in January during intensive inspection campaigns to monitor the compliance of shops with Law No 8 of 2008 on consumer protection. 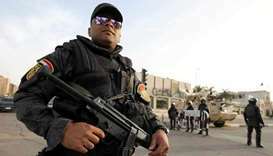 Egyptian security forces on Sunday killed nine suspected militants in a shootout in the Nile Delta province of Sharqiya, the interior ministry said in a statement. 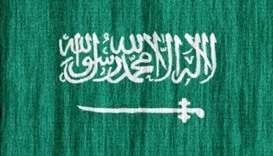 Saudi Arabia on Monday executed an Ethiopian woman convicted of killing a Saudi child, the interior ministry said.